It’s a journey from East to West as Starbucks Philippines introduces a cool twist to their Green Tea and Dark Mocha Frappuccino – they infused it with White Chocolate Pudding! Starting today, all Starbucks Philippines store will be offering their newest pair of blended beverage called Green Tea White Chocolate Pudding Starbucks Frappuccino and the Dark Mocha White Chocolate Pudding Starbucks Frappuccino. 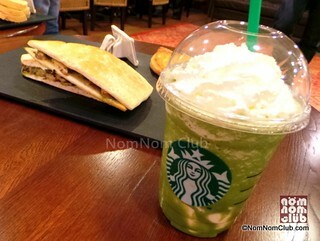 I love the added soft and chewy texture of the white chocolaty pudding to the Green Tea Frappuccino which lends it an extra decadent taste to the oriental take of the Green Tea Frap. 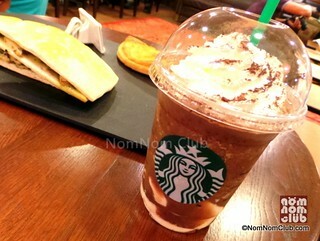 At first thought, the White Chocolate Pudding Dark Mocha Frap would sound like an overdose of chocolate. Given the dark mocha frap, adding more chocolate, albeit white, seem to be overdoing it. But hold that judgement and test it to the taste. I was not disappointed as the beverage came out to be a good combination as well. If you think about it, the white chocolate pudding is soft and does not provide an overwhelming white chocolate taste hence complementing the dark mocha in a good way. Chocolate lovers would find the combination of the dark chocolate and smooth white chocolate pudding to satisfy their chocolate cravings. It is also combined with Starbucks roast coffee, dark cocoa, chocolate chips, and milk blended with ice and topped with whipped cream and chocolate powder. As much as the Dark Mocha is good, I’m settling for my good ‘ol refreshing Green Tea frap enhanced by the goodness of my white chocolate pudding. Try it now as it is only available from today until September 9, 2013. 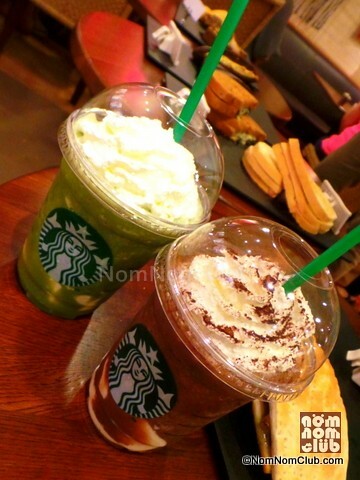 Check out Starbucks Philipines’ Facebook App: SNAP OF THE WEEK from today until August 8, 2013 (my birthday) where fans will be asked to upload photos based on a weekly theme via the Facebook application. Chosen photos will be winners of various Starbucks items and merchandise. Starbucks Dark Mocha and Green Tea White Chocolate Pudding Frappuccino Blended Beverages is offered today on Buy One, Get One promo only from 2pm to 5pm in any Starbucks store in the philippines! 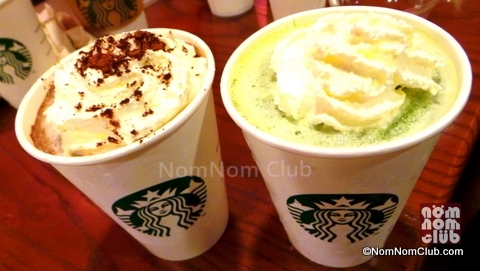 So which one is your favorite Starbucks Frappuccino – the Green Tea White Chocolate Pudding or the Dark Mocha White Chocolate Pudding?